The United States Association of Independent Gymnastics Clubs will host the Beach Classic International Gymnastics Championship at the Wildwoods Convention Center Friday, May 11 and Saturday, May 12. 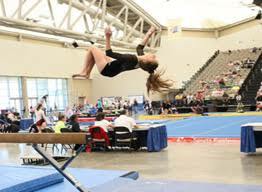 Additionally, the Regional Gymnastics Championship will be held over Memorial Day Weekend at the Wildwoods Convention Center, Friday, May 25 through Sunday, May 27. Over 600 talented athletes from across the globe will compete on the floor, balance beam, uneven bars and vault. The competitions will be choreographed to music, and prizes will be awarded to the top finishers. Competitions for the Beach Classic International Gymnastics Championship will be held Friday, May 11 from 5-9 p.m. and Saturday, May 12 from 10 a.m. - 7 p.m. Admission for the Beach Classic is $15 for adults and $10 for children. Competitions for the Regional Gymnastic Championship will be held Friday, May 25 from 9:30 a.m. - 9 p.m.; Saturday, May 26 from 8 a.m. - 10 p.m.; and Sunday, May 27 from 8 a.m. - 9 p.m. Admission for the Regional Championships is $20 for adults and $10 for children. Tickets will be available for purchase at the Convention Center Box Office on the days of the competitions. For additional information regarding the Gymnastics Championships, please call 609-704-9700 or visit www.usaigc.com.